When install phpFox, you have to meet some module requirements. 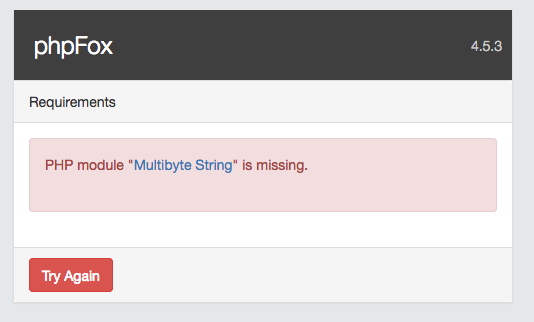 One of them is Multibyte String, or you will encounter this error. Then you installed Multibyte String properly.